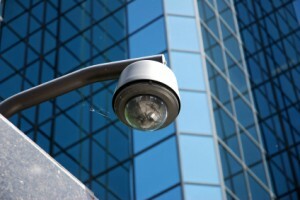 Want to make the most of your video surveillance? If so, smart thermal cameras may be the way to go. With prices dropping below the $5,000 MSRP price barrier, smart thermal cameras are quickly becoming the new standard for theft prevention. Established Technology: Smart Thermal Cameras are nothing new. The technology has been around for years. However, it was not until recently that the price point dropped to a point where mainstream application made sense. Analytics: When combined with analytics, thermal cameras offer real-time, pre-emptive security with instant notification about security violations. Mother Nature: Smart Thermal Cameras give you a clear image no matter what Mother Nature throws at it, including rain, snow, fog, and bright sunlight. Video Quality: As with any video surveillance technology, Smart Thermal Cameras are constantly evolving. And what was once a weakness of the technology – video quality – is now one of its strengths. Cost-Effective: Smart Thermal Cameras offer facilities a cost-effective solution to video analytics and theft prevention. Thermal analytic camera systems are now available at an MSRP as low as $10/foot. Operational Efficiency: These cameras can even be used to increase the operational efficiency of a business. Smart Thermal Cameras can be used to inspect for leaks at a refinery, measure parking lot area occupancy, detect overheating transformers, and so much more. From one camera to multi-camera, baseband, digital, IP, wireless systems, covert cameras, infrared cameras, or Smart Thermal Cameras, ARK Systems is the contractor for you. We handle it all with skill and experience. ARK is an experienced security contractor, and experience makes all the difference in the world. So trust the contractor with over 30 years’ experience. Trust ARK. For any further questions on Smart Thermal Cameras and Baltimore Security Systems, simply contact ARK Systems at 1-800-995-0189 or click here today. Check us out on Facebook and Twitter as well! This entry was posted on Thursday, April 18th, 2013 at 1:27 pm. Both comments and pings are currently closed.